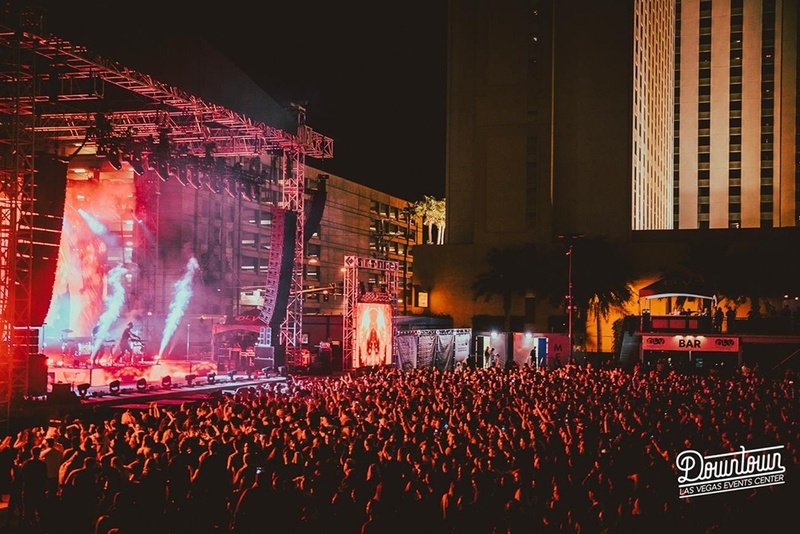 One of the hottest (literally) venues in town for concerts, sports watch parties and music festivals, is the Downtown Las Vegas Events Center (DLVEC). 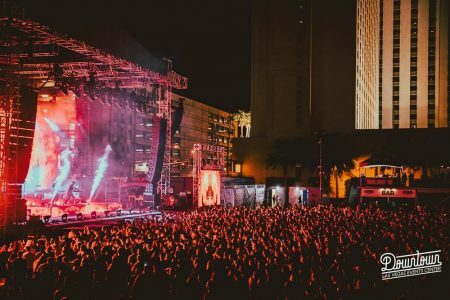 Located in at the corner of 3rd Street and Carson in downtown Las Vegas, the Downtown Las Vegas Events Center has been expanding its events schedule and is quickly becoming a premier outdoor concert venue. 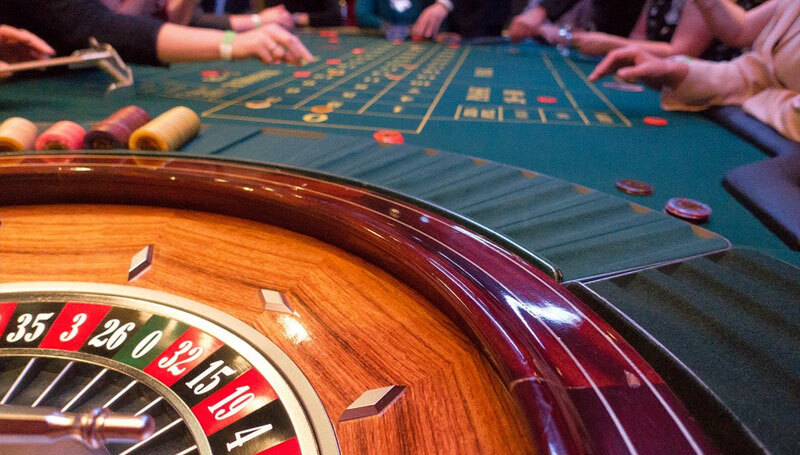 The Downtown Las Vegas Events Center hosts numerous concerts throughout the year and while it is an outdoor venue, a special tent is used during the cooler months to provide an indoor space to keep the party hot! 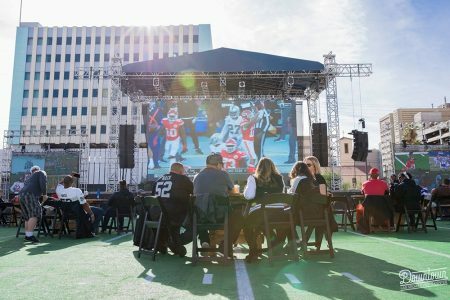 In 2017, DLVEC began hosting the Downtown Watch Zone during football season. The venue was outfitted like a football field with stadium style seating, reserved tables on the field and a 72-foot HD LED main screen and additional 22-foot HD LED screens to watch all the weekly football games. This was a great place to see the games for free and enjoy them with other football fans. Reservations are even offered for the “Man Caves” if you’d like a private viewing area. The Downtown Las Vegas Events Center was also a hot spot for Vegas Golden Knights viewing parties during the hockey playoff season and hosts NFR viewing parties while NFR is in town. Several music festivals are held at the venue throughout the year, including Las Rageous and Punk Rock Bowling and the DLVEC has even hosted boxing matches. 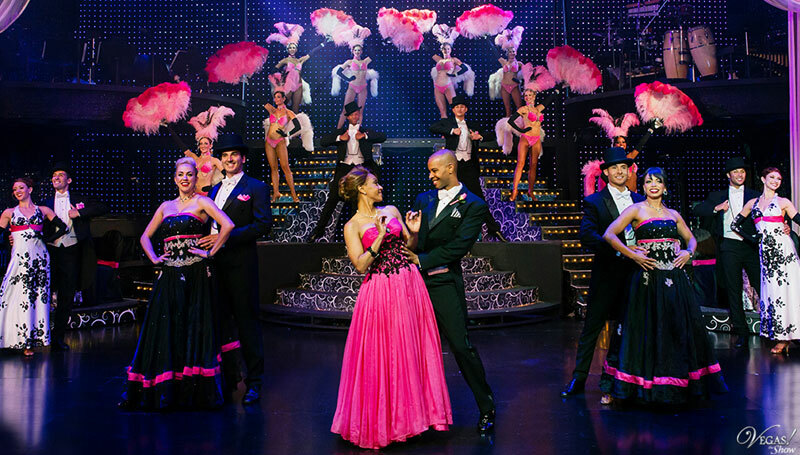 So if you’re in Las Vegas and looking for a new experience in our fair city, and one you definitely won’t find in your hometown, grab some tickets to a concert at the Downtown Las Vegas Event Center.